What happens to the availability and price of books when they move from copyrighted status to the public domain? 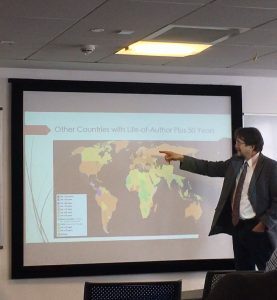 This question is of primacy to the work of Prof. Paul Heald (University of Illinois), who presented on this topic and its application to the South African market on 22 February 2019 at the University of Glasgow. First, is it preferable to follow the upward trend of extending the duration of copyright to last for the life of the author plus 70 years? Currently, South African copyright law extends to the life of the author plus 50 years, though the government is facing increasing pressure to extend this. Second, is there evidence to suggest that the duration of an author’s reversion right should be dramatically reduced? Currently, and upon assignment of rights, a rights reversion occurs 25 years after the authors death in South Africa. Under the proposed reform, this would be reduced to 25 years following the actual transfer of the rights. Building on previous work in the US book market (reported on during the 2017 CREATe Public Lecture Series), Prof. Heald presented South Africa as an interesting juxtaposition to this given its relatively less economically and technologically advanced status. This, he reasons, is suggestive of an infrastructure that is less equipped to take advantage of the difference between the copyright (or public domain) status of a book (and ergo suggesting a less pronounced effect than observed in the US market). Nonetheless, there appears to be a dramatic increase in the availability of public domain books, in contrast to some in-copyright titles; despite a steady downwards trend of availability as books age (in keeping with e.g. popularity, demand), once public domain status is reached, book availability for in-print books increases to 45%, and further increases to 86% once eBooks are included. This suggests public domain status correlates with book availability, and in-copyright status is more suggestive of a decrease in availability. Prof. Heald demonstrates a worldwide trend towards steadily increasing copyright duration. 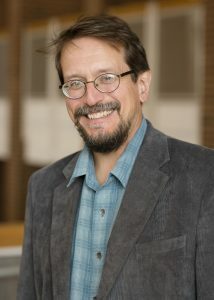 Thereafter, Prof. Heald explored the effects of copyright on book pricing, using the South African Amazon-equivalent takealot.com as a metric. Here, bound volumes of copyrighted works could fetch on average 17.74 USD per book, as opposed to public domain titles which were priced at the lower 14.44 USD. The eBook market follows a similar trend, but with a more pronounced difference: the average price per copyrighted title here is 12.53 USD, whereas the average price of public domain titles is less than half of this figure. Even after accounting for taxes and royalties, this appears to be, according to Prof. Heald, evidence of monopoly pricing. Again, these findings indicate that copyrighted status increases the price of books, whilst public domain status decreases price. In response to this, Prof. Heald finally questioned whether rights reversion mechanisms may dampen the effects of copyright in reducing book availability and increasing price. This is in keeping with a position that authors themselves may be better stewards of their work than publishers, who may only be incentivised to make available the most popular or profitable titles, to the detriment of book diversity. Whilst cautioning that available figures for this are low, a modest increase is evident in book availability, which stands as high as 33% once rights reversion occurs (25 years following the death of the author). This seminar was particularly topical in a UK context, which Prof. Heald hastened to remind attendees was a proponent of the life plus 50 years approach pre-harmonisation. Important works by the likes of George Orwell, Dylan Thomas, and CS Lewis would have now fallen into the public domain, had a life plus 70 approach not since been adopted (and thus, based on these findings, would have been made more widely available and cheaper since). As such, the possibility of a reduction in copyright duration may be a silver-lining in the otherwise uncertain Brexit landscape.